This is a WIP for a tropical jungle i was asked to make. 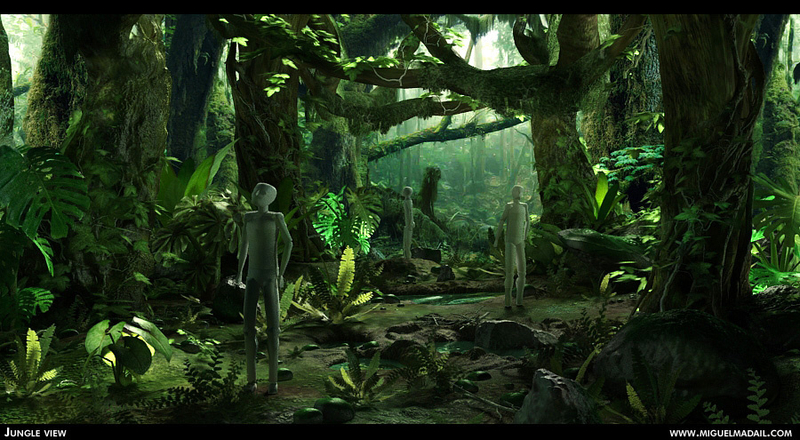 It will serve as a 3D virtual scenario for interactive animation with bluescreen footage. The characters here are just to give the scene some sense of scale. This just a WIP, as i will later on work on a better scene with it. Modeling done with Zbrush, 3dsmax, and rendering with vRay.